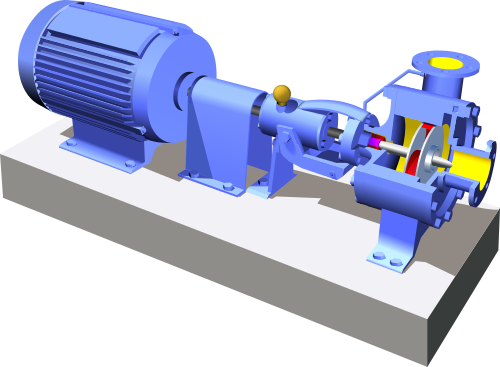 Both pumps and motors are mechanical devices used for a varied range of engineering works. Both the devices play a key role in various engineering fields such as mechanical engineering, electrical engineering, civil engineering, automobile engineering, construction works, robotics, etc. They are used for a variety of purposes. Pump is a mechanical device used to raise or move fluids using suction or pressure. The most common example of a pump is the windmill or a watermill to pump water. Motor is an electro-mechanical device that converts electrical energy into mechanical energy. Motors are literally everywhere – in your computer, hair dryer, electric shaver, coffee grinder, dishwasher, and microwave. Both devices are among the greatest inventions of all time used in all sorts of applications. Pump is a standard mechanical device used to force a liquid or a gas to move forward inside a pipeline or hose using suction or pressure or both. It is also used to compress gases or force air into inflatable objects such as tires. It creates suction to produce pressure causing the liquid to rise to a higher altitude. Pumps use mechanical energy to draw the fluids inside, pressurize them or finally discharge them through the outlet. Pumps are basically powered by various energy sources which also include manual operation, wind power, engines, and electricity. Because they serve a wide range of applications, pumps come in all shapes and sizes, from a domestic submersible pump to a centrifugal pump to a large-scale industrial pump. They are classified into two general types, centrifugal and positive displacement pumps. They can also be classified in terms of method of displacement into velocity pumps, impulse pumps, steam pumps, gravity pumps, and valveless pumps. The positive displacement pumps are one of the most common types of pumps along with centrifugal pumps. The positive displacement pumps facilitate movement of fluids by trapping a fixed amount of volume in the discharged pipe and the volume being placed is constant throughout the operation cycle of the pump. Centrifugal pumps, on the other hand, use a rotating impeller to create a vacuum to move liquids from one place to another. A radial flow pump is probably the most common type of centrifugal pump. Motors are nothing but electro-mechanical devices used to convert electrical energy into mechanical energy. Motors account for nearly half of the world’s energy consumption, which contributes significantly to a global energy ecosystem. Electric motors have brought about one of the major breakthroughs in the fields of engineering and technology after electricity which is still one of the biggest inventions the world has ever witnessed. Electric motors are generally categorized into two basic types – AC and DC motors. Both AC and DC motors serve the same basic purpose, which is to convert electrical energy into mechanical energy. However, they both do it very differently. As the names suggest, AC motors are powered by alternative current, whereas DC motors are powered by direct current. The operating principle may be different but the basic law that governs them is same in all types of motors. Pump is a mechanical device that converts mechanical torque into hydraulic energy. It simply facilitates movement of fluids from one place to another using suction or pressure or both. Motors, on the other hand, are electro-mechanical devices that are used to convert electrical energy into mechanical energy. A pump uses forces of nature to move fluids or sometimes slurries. Air is pushed out of the way as the moving part begins to move. Pumps are generally powered by electric motors that drive an impeller. As a result of movement of water, a partial vacuum is created which is later filled with more air. A motor, on the other hand, is based on Faraday’s law of electromagnetic induction which is one of the most basic laws of electromagnetism. Electric motors interact with the magnetic field of the motor and winding current to generate force in order to produce electrical energy from mechanical energy. Pumps, on the other hand, leverage various energy sources to rotate its impeller and without a driving force of nature, pumps are useless. It uses the rotary movement of the shaft which acts as the input energy, in order to generate pressure. Pumps are generally classified into two basic types, centrifugal and positive displacement pumps. They are further categorized based on their method of displacement into impulse pumps, gravity pumps, velocity pumps, valveless pumps, and steam pumps. 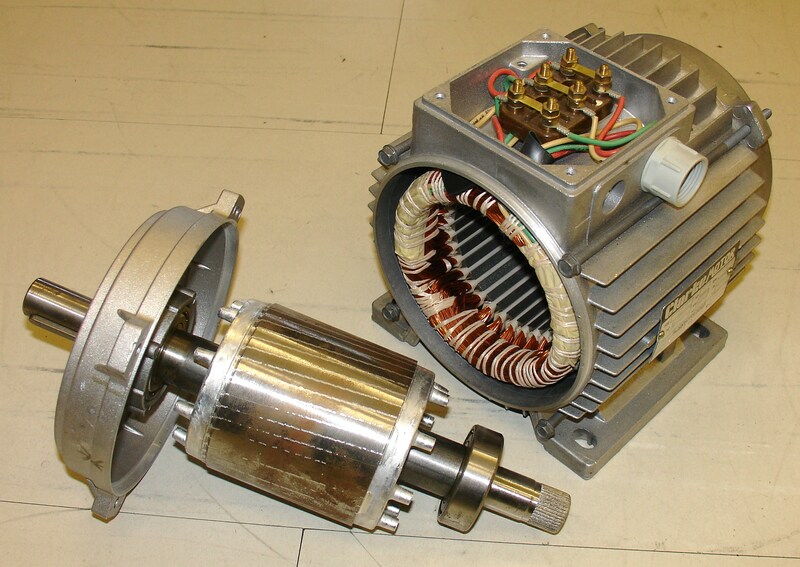 Motors are mainly classified into AC and DC motors. AC motors are further divided into synchronous and asynchronous, whereas DC motors can be classified into brushed and brushless motors. Pumps are used in both industrial and commercial applications. From water treatment plants to paper mills to car washes, pumps are used everywhere. Centrifugal pumps are used for energy and industrial applications for various purposes. Motors are used in almost everything like fans, compressors, conveyor systems, dishwashers, robotics, electric vehicles, hoists, lifts, lathes, vacuum cleaners, grinders, shearing machines, and more. Both pumps and motors are the major breakthroughs in the global energy ecosystem that have shaped the face of modern day engineering and technology. While both play a key role in various engineering fields and they serve the same purpose – to convert electrical energy into mechanical energy – they do it very differently. The operating principle may not be same, but the fundamental law that governs the two is same. This article looks at the two devices individually, followed by their operating principles, and finally explains the difference between the two mechanical devices. Sagar Khillar. 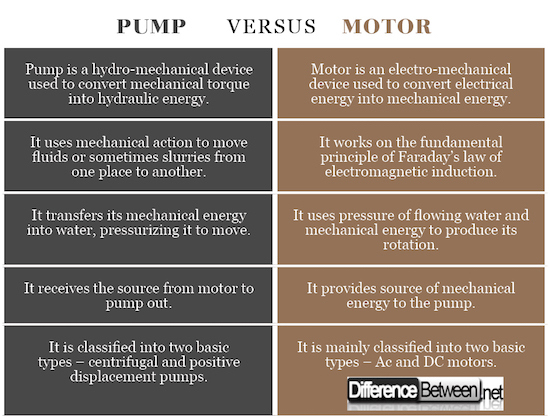 "Difference Between Pump and Motor." DifferenceBetween.net. July 23, 2018 < http://www.differencebetween.net/technology/difference-between-pump-and-motor/ >.